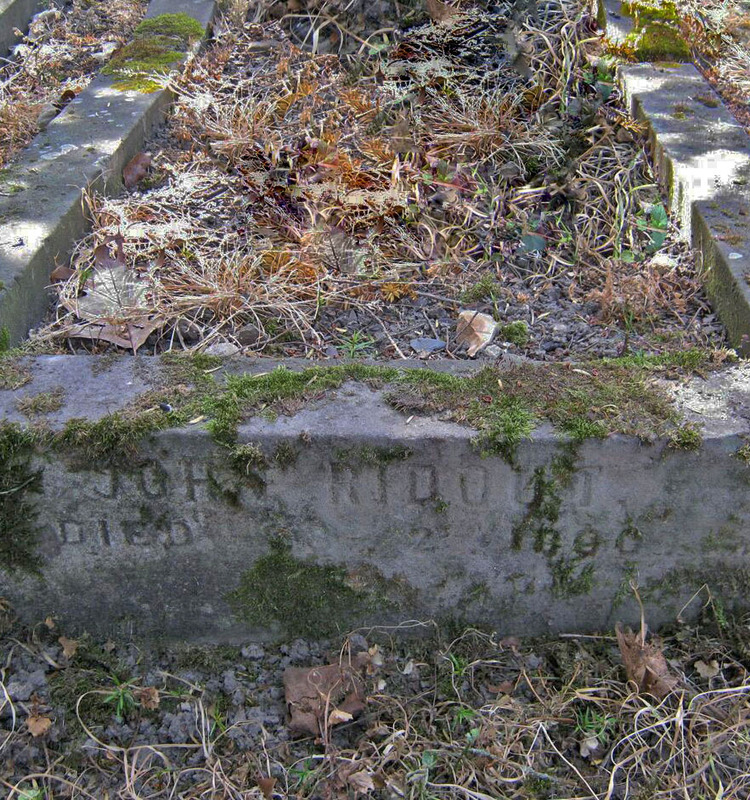 My x3 great grandfather, John Ridout’s only surviving child with his first wife Sarah HODGES was named for his father. John was baptised in St Swithin’s church, Walcot Street on Sunday 10th March 1811. His parents were living somewhere within Walcot parish but the exact address is unknown. John’s mother died when the boy was just five and pretty soon he would have met Martha, John’s second wife. As she had come from a family with a very long history of newspaper publishing, it is perhaps not surprising that as a young man, John went into the printing trade – by 1841, he was living and working as a compositor in Bristol. 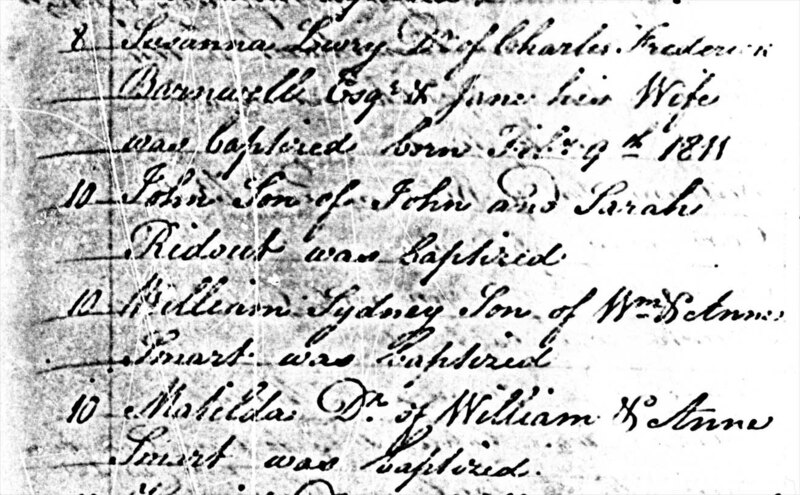 Maybe he had been apprenticed to a member of Martha SOMERTON’s family, maybe not – I’ve found no records of John’s early years. At the age of twenty-four, John married Miss Sarah WILTON at St Peter’s, near the Castle Green in Bristol; a church which is now a war damaged ruin. Six years later, in 1841, the couple were living in Jamaica Street, which is in a lively area of the city known these days as Stoke’s Croft. They’d had two children by this point, Alice (b. 1837) and Edwin (b. 1839) both, according to the 1851 census, born in Bristol. These were followed by Emma (b. 1842), Owen (b. 1843) and Kate (b. 1846). Owen and his mother both died in 1848 and John married a few months later to Hester TOOMER, a servant six years his junior. John’s half brother William was a witness. The happy couple married at Walcot’s Holy Trinity church, registering their address as 27 Kingsmead Street, Bath which was then the Red Lion public house. In 1851, Hester’s father Joseph was staying at the pub and was recorded as a retired licensee, although of which pub I do not know. The head of the household was pub landlord George (Bishop) LOVELL and his wife Elizabeth, who I think was Hester’s half sister. Records indicate that George’s stewardship of the Red Lion was followed in 1864, rather confusingly, by Job Ollis, one of my many x3 great grandfathers and totally unrelated to George! John and Hester were married for forty years until Hester’s death in 1889. As far as I can tell, she had no children with John. Interestingly, a Bristol 1856 trade directory listed John as a printer and wood engraver in Clarence Town – so presumably he was producing wood cut illustrations for a book, newspaper or periodical. Then in 1861, he was described a ‘printer’s reader for the press’ and in 1881 as a ‘corrector for the press’. The little that I have found out about this trade suggests that it required a person of excellent literary and grammatical skills, involving far more than simple proof reading since many readers progressed to authorship or started up a printing business of their own. However, John appeared to have stayed as a reader throughout his entire working life. At some point before 1861, John, Hester, son Edwin and daughter Kate moved to London and were living at St Peter’s Street South in Bethnal Green. In later years, Charles Booth’s poverty map (1889) showed this street to have been inhabited by people who were ‘fairly comfortable with good ordinary earnings’. By 1871, John and Hester had moved to Shoreditch and lived at 25 Allen’s Buildings. The description of the enumeration district suggests that these buildings were in John Street. Although an area of redevelopment in 1889, the remaining inhabited streets were classed similarly to John’s previous address in Bethnal Green. Clearly, John had his finger in other pies since according to the London Gazette he was the chairman of the Beehive Co-operative Society Ltd, which operated from ‘the Store’ at 50 Allen’s Buildings. Unfortunately, the society was declared bankrupt in February 1873. It wasn’t clear from the notice quite what the nature of the co-operative was but in central London perhaps it was likely to have been a consumer’s co-op e.g. supplying food or other goods at an affordable price, on a non-profit basis. I appoint as my sole executrix my eldest daughter Alice Sales in trust to receive all moneys due to me at the time of my death and after paying the funeral expenses to share what remains equally with her sisters. The household furniture, books and other effects to be sold and the proceeds equally divided between the sisters Alice, Emma and Kate Ridout. And I particularly desire that my funeral be conducted in as plain a manner as possible and that no expense be incurred for any memorial afterwards. (14thMay 1891). John’s grave was marked with his name and date of date. He is buried in the churchyard of St Peter and St Paul, Edenbridge in Kent. These few facts told me little about John other than that he was perhaps creative, highly literate, and had the same job for all of his working life. Clearly he was a family man and had a rather ‘no frills’ attitude. I wish I knew more about Sarah’s only surviving child – he seems a little distant from his half siblings. 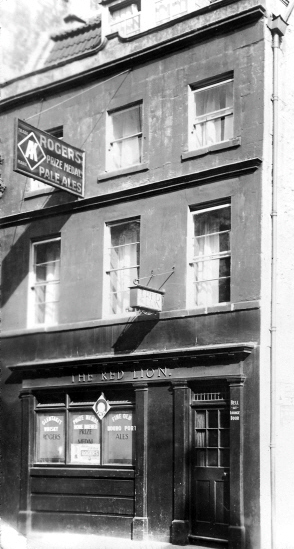 This entry was posted in Individual and tagged Bath, Family history, George Bishop LOVELL, Hester TOOMER, John RIDOUT, Martha SOMERTON, Newspaper, Red Lion Westgate Street, Sarah HODGES. Bookmark the permalink. How I enjoyed this lateset ‘episode’ !! Quite amazing how many Ridouts have printing connections, including ME!